Erin Benzakein is one of the nation’s leading farmer-florists and the founder of Floret Farms. Her recent book, Cut Flower Garden published by Chronicle Books, will teach you how to grow and cut your own seasonal blooms. More about this episode: majomolfino.com/blog/2018/1/28/creative-analytical-with-erin-benzakein In this episode, Erin shares what she’s learned about the importance of leveraging rules and structure, while making space for creativity and beauty. She is a great example of balancing feminine and masculine traits, following your intuition, and listening to the whispers of your inner voice. As a bonus, you’ll also learn about the magic of flowers. Show Notes: -On being an anxious and curious little girl, her love for growing things from an early age, and her dream of her own “little plot of land”. [2:17] -Dropping out of high school as an angry teen who couldn’t see a future for herself. [6:59] -Starting a family at a young age, always taking the path less traveled, and her lifelong struggle of listening to her inner voice. [11:31] -How a book inspired Erin to leave the city and start living her dream, and the beautiful partnership she has with her husband. [14:30] -Erin’s biggest challenges starting out. [18:33] -When things really started to click, and the fears Erin had to push up against along the way. [21:36] -How not liking to feel “held back” has fueled her love for learning and figuring things out on her own. [28:34] -“It’s okay to fail”: Erin’s insights on failure as a prerequisite for success. [31:51] -On the balance between the feminine/creative side and the masculine/business side. [34:14] -The importance of making space for creativity to grow and thrive, the magic of flowers, and what Erin has reclaimed for herself on her journey. [38:51] References: Majo's website – majomolfino.com Learn more about Erin and Floret Farms – www.floretflowers.com Get her book, Cut Flower Garden – chroniclebooks.com/titles/floret-farm-s-cut-flower-garden.html Music by Carolyn Pennypacker Riggs – carolynpennypackerriggs.com Want to support women's voices? 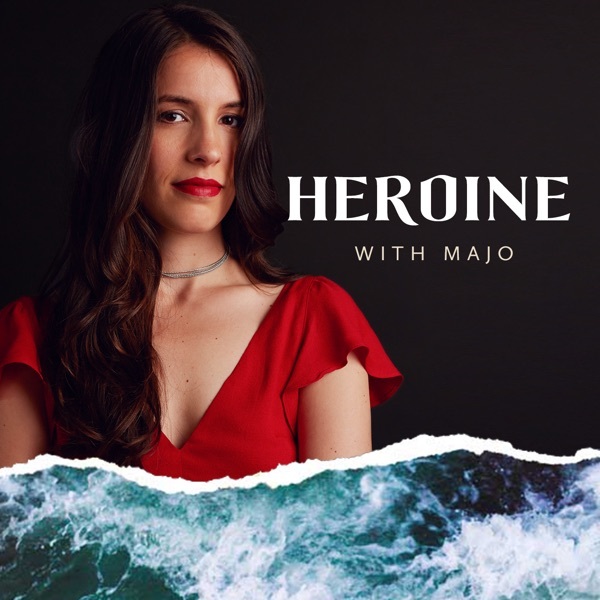 Go to patreon.com/heroinefm & become a bigger part of the Heroine community. Check out our rewards for supporters.